As the café racer “scene” pretty much exploded at the same time I bought Oldbike I fall into a chronological category of people that have been wrenching on and riding vintage bikes probably since before the bikes were considered vintage, definitely before riding an old bike was considered to be “cool.” Luckily I fell into the Caferacer.net forum purely by accident and/or dumb luck. I looked around on the website and managed to largely avoid the virtual berating/bashing that I have now seen hundreds of newbies go through most leaving with their tail between their legs. I say that I was lucky to find them because I have avoided doing a lot of STUPID things to Oldbike just by browsing through the site. One of the first benefits I was able to take away was in identify and understanding the phenomenon of the “L-bike” fad of the 80’s. I might try and do a more detailed write up based on the observations I’ve gleaned from Caferacer.net but for now suffice it to say that “L-bikes” do not make good café racers. Early identification of this fact saved me a lot of wasted time and effort in trying to make a bike into something that is not in its DNA. Armed with that knowledge I focused my efforts towards converting Oldbike into a sort of urban assault commuter bike. With that as a goal, the sacrifice of comfort and utility in the name of outright speed went by the wayside. That doesn’t mean that I’m not interested in making the bike run smoother, accelerate faster, handle better and stop quicker. That is where this most recent modification comes into play. Over the years I have seen a ton of people that have made the mistake of taking off the front fender off their “café racer” project, chasing the café racer “look.” Heck… the previous owner had done it to my bike. Thankfully he had the thing laying in a barn still. I’m not even sure where the idea originated but I am pretty sure that when the original café racer scene was going on I don’t think that people were pulling the front fenders off their bikes. Maybe the people who do this are making an attempt at saving weight, they are barking up the wrong tree. I’ll go into a little detail as to why; while the forks are held together by the triple trees and the axel at the bottom of the forks this is not enough to provide the stability and handling that you want in a motorcycle. If you think about it, on a standard (non upside down) fork, the skinniest part of the fork is what is attached to the triple tree. This is going to give you front to back flex no matter what. Now, each lower portion of the fork cartridge moves independently of each other unless they are joined together. Joining them with just the axle may seem like enough but it’s not when you take into consideration all the forces that your front wheel experiences with bumps, braking and acceleration many times not when the bike is upright. Having that single point of union will still allow the forks to compress and rebound at different rates, affecting the bikes handling and the feel you get in through the handlebars. The front fender gives you a second structural union to between the two forks which forces them to move at the same rate and keeps the front wheels’ attitudes as intended buy the manufacturer and as desired by the rider. 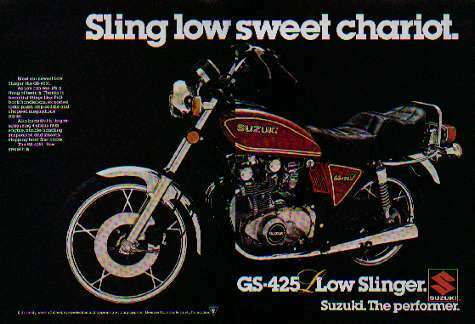 I would always see the guys telling the newbies that if they wanted to take off the front fender they needed to get a fork brace. I had no idea what one was but once I had an understanding of the aforementioned workings of front forks, seeing one for the first time made perfect sense. Not to jump ahead chronologically in the photos but this is the only one that I have that shows the inner side of the fender clearly. You can see that even the manufacturer had attempted to bolster the strength of the connection between the forks with some extra material. Even with the front fender installed on Oldbike I got a lot of feedback through the handlebars, there was so much vibration through the handlebars that I couldn’t tell what the front end was doing, the useful information got lost in the (excuse the pun) chatter. Being that I the two sets of discarded handlebars as well as some engine guards and a welder I got to thinking that I might try and make a front fork brace for Oldbike. The difference would be that I would mount mine over the fender keeping it in place. The above pictures are of the mounting brackets I cut off of the engine guard, which you can see in the picture below. Above you can see the two sets of handlebars collected into the front fender. I basically cut them up into straight portions and curved portions. An effort was made to keep the mirrored portions the same lengths. The leading portion would be made up of four sections and would be more “square” than the trailing portion which you can see in on the floor in the above picture. The trailing portion was made of three pieces and was more rounded. Here you can see them tacked together. And with the welds ground down and one of the mounting points attached. Here is the basic layout I was going for. Once I got the first mounting point attached I was able to put it on the fender and use the mounting holes and some clamps to keep everything aligned. Because of the clearance issues with the forks I had to remove the front wheel and then slide the brace and fender up between the forks. And above are a few shots of the finished product. Things could still be cleaned up more really but right now I am testing for function, I’ll worry about form later on. After the first ride I was amazed at the difference the brace made. Almost all of the extra chatter that I was receiving through the handlebars was eliminated, and only useful feedback was coming through. The front end was hugely improved! I would not have expected such an improvement! At first I had concerns about adding the extra weight to the front end (the brace is pretty heavy) but I think that the improvements were well worth the increase in weight. Below I have a video if I took of the complete product, installation and reactions after a first test ride. And as a bonus of sorts I made a video eleven days prior of a ride on Oldbike Basically I took one of my gloves off, shoved it into the breast pocket of my jacket and then stuck my iPhone into the said pocket so the camera lens stuck out. Consequently you get a view to the left side of the road I am on but I figured you could hear how the GS sounds in all the gears and up to around 60-62 miles per hour in places. Thanks to all who read the blog! Not sure what the next installment will entail but I’ll try and make it sooner than later!